At United Way of Southeastern Connecticut, Community Investment is the work we do. It's where the money goes and how it is distributed. It is United Way programs such as the Gemma Moran United Way/Labor Food Center, Project Warm-Up, Day of Caring and United Way 2-1-1, it is collaboration and committee work, plus it is funding of a multi-million dollar network of partner programs run at local nonprofit health and human service agencies. The hallmarks of all United Way Community Investment efforts are community involvement and oversight. Funds are distributed through Allocations, which relies on community volunteers distributed across a number of Allocations Panels. Every year these panels review the work of funded programs. Relying on site visits, written applications, interviews, outcome data (measures) and financial records, volunteers decide where the money goes. If programs are not communicating results or do not meet the stringent set of United Way standards for funding—their dollars may be reduced or cut entirely. However, United Way is supportive of its agencies and also does its best to aid programs which are struggling. United Way focuses on local needs. The majority of funds are distributed to programs that work right here in New London County. Even national and statewide agencies must use their partner program funds locally. The services supported are here to help you, your family members, colleagues, and neighbors when help is needed most. You're invited to join our efforts by donating and volunteering. 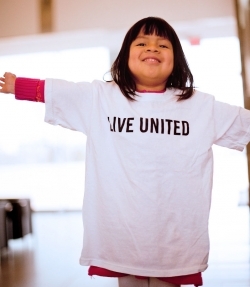 That's what it means to Live United!